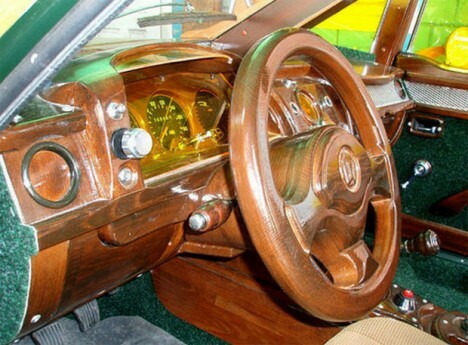 Why stop at slapping a couple of ‘70s-style faux wood panels on the sides of your ride when you could be driving a car or motorcycle that’s made entirely from wood? 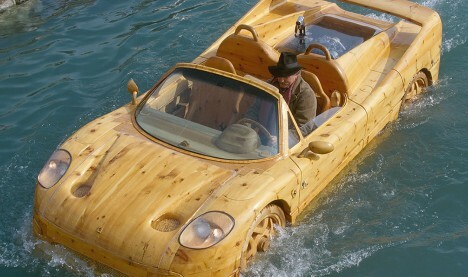 Though it’s an unlikely material for this purpose, these 12 modes of transportation are made primarily from trees, including a Vespa, a three-seater bike, a floating Ferrari and a race car. 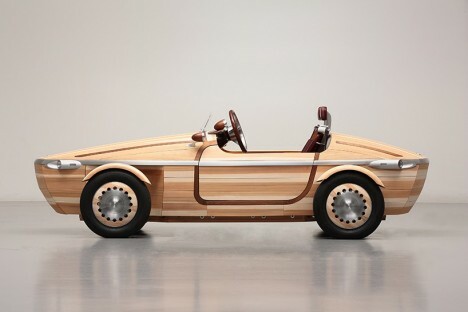 Nearly every part of the Setsuna Roadster unveiled by Toyota at Milan Design Week 2016 is made of wood, with different varieties selected for different practical applications. 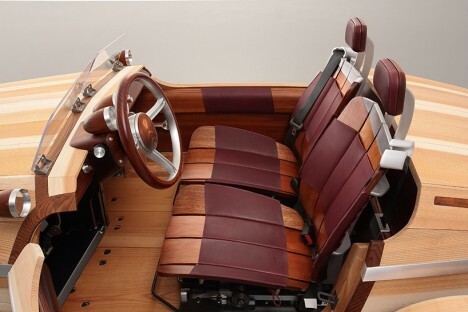 86 handmade panels of Japanese cedar make up the body, while birch was selected for the chassis and smooth castor aralia for the seats. 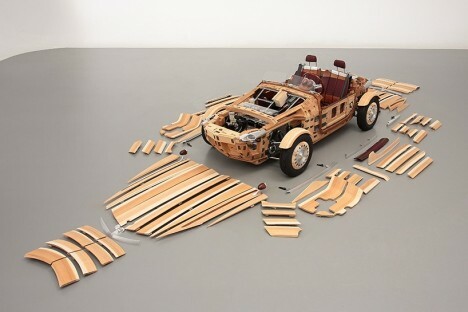 Traditional Japanese joinery techniques like ‘okuriari’ and ‘kusabi’ are put to work so the pieces fit together without nails or screws. 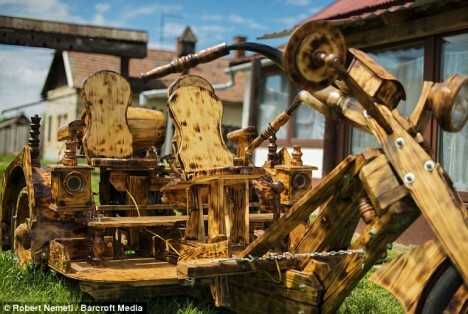 A Hungarian carpenter made this three-seater custom motorcycle entirely from pine, with handlebars made from the horns of Hungarian grey cattle. 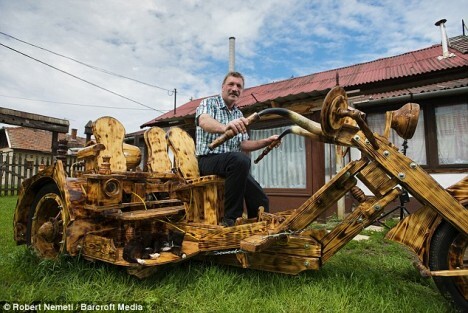 It’s fully functional and built around a ZIL 200cc engine and took six months to build. 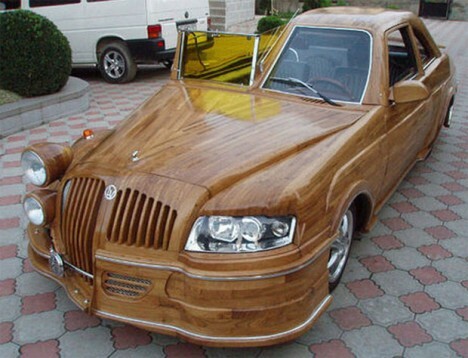 Despite the level of craftsmanship put into this rig, it’s built more for looks and reliability than for speed, topping out at 12 miles per hour. 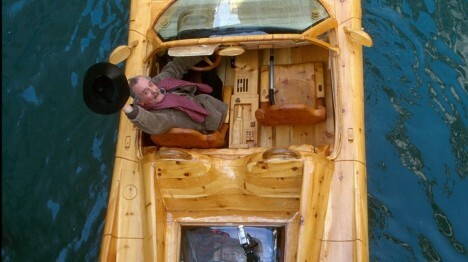 Made completely out of pine, this replica of a Ferrari F50 is actually a boat. 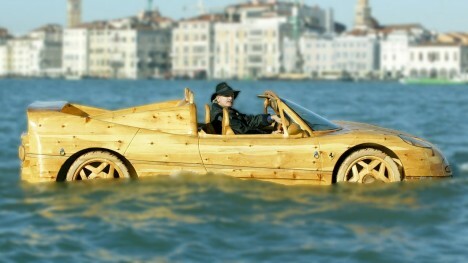 Artist Livio de Marchi wanted a Ferrari to call his own, but needed something more practical to get him around the canals of his home city of Venice, Italy – so this was his compromise. Completed in 2001, it’s been owned by Ripley’s Believe It Or Not! since 2009. 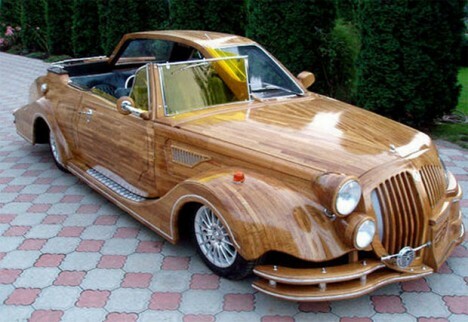 Half retro convertible, half modern Cadillac, this bizarre wooden car made by Ukrainian Vasily Lazarenko is built on a chassis and engine from a 1981 Opel model with a 100 HP engine. It’s not registered, but seems like it would be street legal. 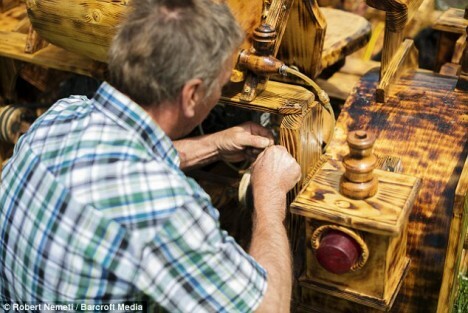 The custom creation went up for sale on eBay in 2012 for $120,000, though it’s unclear whether anyone ever bought it.